This effect is straightforward and powerful. A most unusual routine. 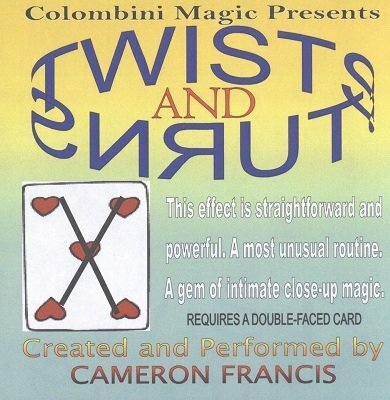 A gem of intimate close-up magic. A card is selected from a deck of cards, say it is the 5-of-Spades. A packet of three Jokers is introduced. The 5-of-Spades is placed among the Jokers whereupon it instantly turns face down. It is replaced and turns face up. You then draw an X on the back of the 5-of-Spades which is placed face down in the packet. The cards are counted and now the 5-of-Spades is face up with an X on its face. The X visibly disappears off the face of the 5-of-Spades and now all the Jokers have an X on their faces! Requires a doubled faced card.